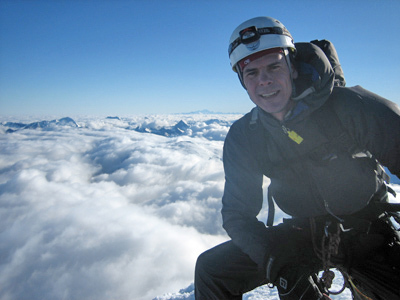 My regular climbing partner, Carsten P. Cooper-Jensen, arrived late Friday night. In order to get him warmed up we spent Saturday playing around Haffner Creek and today we then went back to Evan-Thomas Creek to climb Snowline (100 m, III, WI4) and Moonlight (100 m, III, WI4). I missed both climbs on my previous visit were I ended up climbing a potential new mixed line left of Moonlight (read that story here). 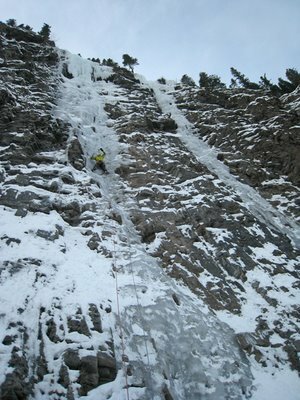 It was thus nice to come back and climb the two classic ice routes. Both climbs were very enjoyable. Not too hard as they we pretty hacked out, but interesting as the ice was quite thin and we thus had to consider where to place ice axes, crampons and ice screws. 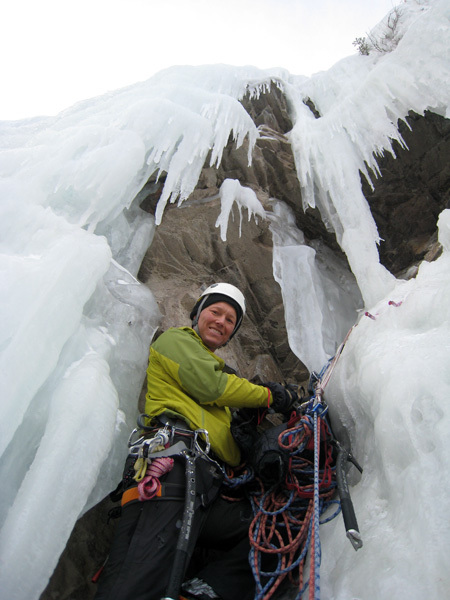 Carsten leading first pitch of Snowline. 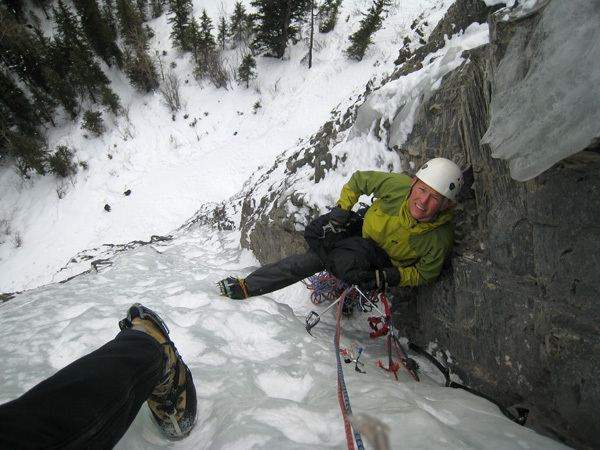 Carsten at the first belay of Snowline. Carsten leading first pitch of Moonlight. Carsten at the first belay of Moonlight. 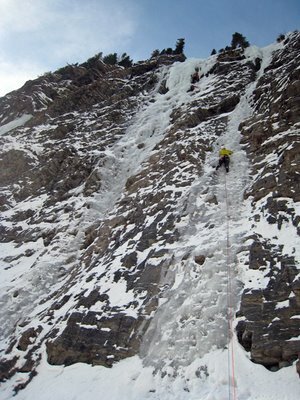 The crux of the route was to traverse from the belay out on the near vertical curtain on the left - a couple of awkward sidewards movements which, however, were made a lot easier with my leash less ice axes.